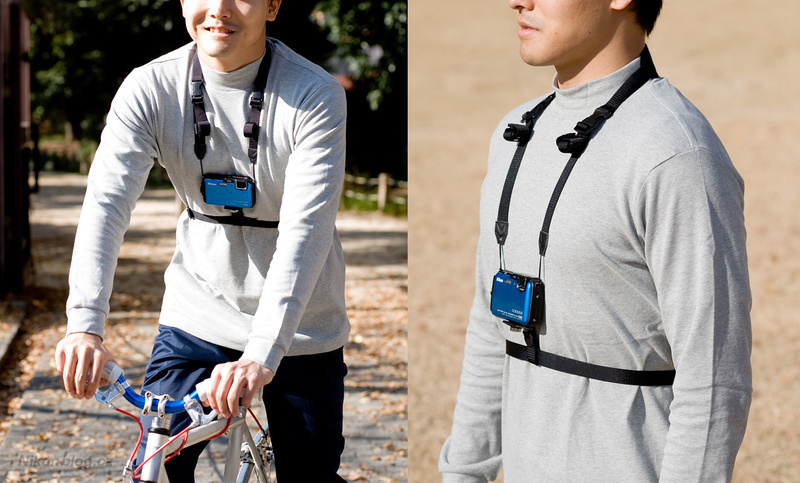 This cool new accessory for your AW-120 is a chest strap designed to hold the camera in place when using it in action. It gives the user a chance to use the camera’s HD video feature hands-free while they are doing sports and other activities. Like the camera, the strap is waterproof so it’s suited for snorkeling, skiing, or even white water rafting. To get great action footage, simply start the video recording on your camera and attach it to the chest strap. Unlike head mounts for small ( think gopro) type camera, the torso of your body is much less shaky, making more of the video useful when editing. For extra fun, strap this onto your toddlers and let them run around while recording…you’ll enjoy watching the world from their point of view.